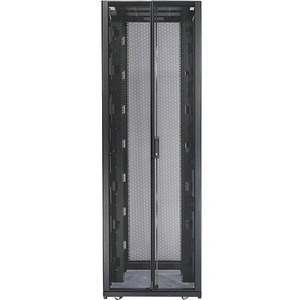 NetShelter SX cabinet and packaging system designed to safely integrate, transport, unload and deploy up to 2000 lbs (907 kg) of IT equipment. The cabinet is paired with a shock absorbing pallet, unloading ramp, and impact resistant shell. The system has been engineered, tested and approved for secure shipment of fully converged systems.